My studio is continually stacked with surfaces for printing and surfaces already printed. 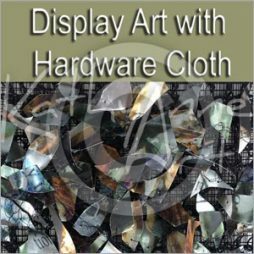 Most of the time my four largest studio tables— 4 x 8 foot (10.160 x 20.320 cm) are end to end with an array of digital prints in various stages of assemblage. 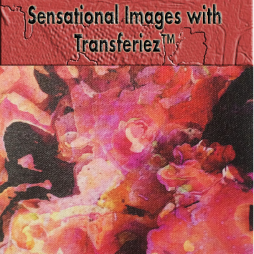 For this workshop I will share my after printing process. 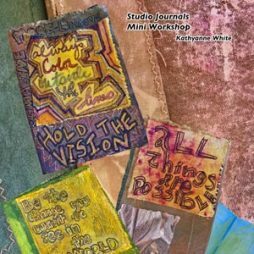 This process workshop allows you to observe ideas for creating possibilities. 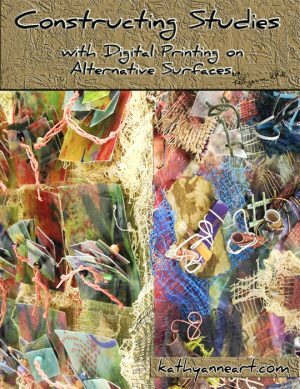 Whether you work with digital prints or other types of mixed media this is about getting creative by doing studies to push your own creative process. When working on a new body of work—studies assist me with hands—on—creating. 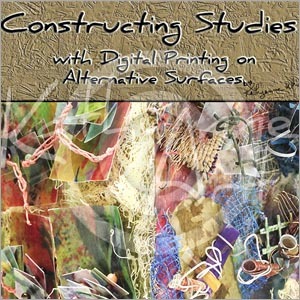 Constructing Studies is a 14 page PDF workshop. 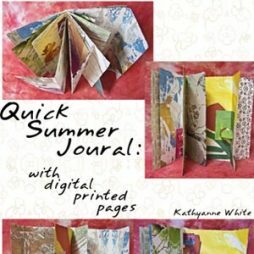 Be sure to browse this blog for descriptions of many of the workshops on KathyAnne Art. If you are not a member you can take individual workshops for $9.95.